Pound Sterling Forecast: Will the Pound strengthen further against the Euro? Brexit continues to be the key factor on Sterling value and I would expect current levels to remain until voting on Theresa May’s current Brexit deal begins which is due to take place before 12th March, although it is more than likely to take place on the day itself. Unless the PM gains concessions from Brussels on the Irish border I think her Brexit deal will fail and will not be voted through by MPs. If this is the case a vote will be held the following day on whether or not Parliament will be willing to leave the EU without a deal. I think this is unlikely and if that is the case we will then see a third vote the following day. This will concern whether or not there should be an extension to the March 29th deadline. I think an extension will be the likely outcome and this could cause a further rise in the Pound’s value despite this being factored somewhat into current levels on GBP/EUR. The PM could have something agreed behind closed doors with Jean-Claude Junker which could see an eleventh hour deal, but I feel this is less likely than an extension to Article 50. I believe the probability of a no deal has now dropped substantially. Is now the best time to sell Euros? If you are sitting on Euros with the hope of a large fall in the Pound I would be wary. You are essentially relying on a no deal scenario which now seems far less likely. Morgan Stanley stated recently there is less than 5% chance of a no deal Brexit scenario occurring and Parliament have been vocal their intention is to make sure this does not occur. There is the potential for movement in your favour as negotiations intensify, but I do not think there will be huge gains. The risk is if news filters through that an agreement has been reached on the Irish border we could see significant gains for the Pound which could prove costly. If you are Euro seller and your funds are not yet available a forward contact should be considered. This essentially allows you to book your currency at current market levels with a 10% deposit and then specify a date to pay the balance. If you would like to discuss anything you have read in this Pound to Euro forecast, or would like more information on GBP/EUR transfers, please use the form below to ask a question, I’ll respond personally to discuss your query. The Australian dollar has lost further momentum against sterling as the latest Australian Growth numbers disappointed overnight. GDP for the quarter was released at 0.2% down 0.1% and GDP for the year fell by 0.2% to 2.3%. This data release puts further pressure on an economy that is already struggling. The slowdown in China due to the ongoing trade war with the US is causing investment to slow in Australia. The housing market in particular is under severe pressure and the Reserve Bank of Australia have hinted at cutting interest rates in the near future. I find it difficult to see how the tide is going to turn anytime soon in Australia therefore I expect further weakness for the Australian dollar. 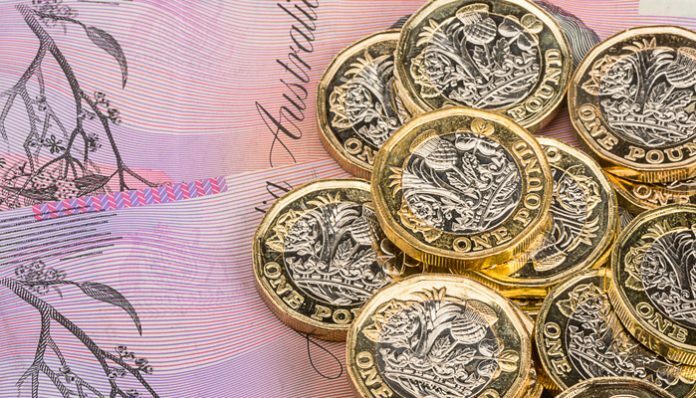 Since the start of the year, GBP/AUD exchange rates have increased by 10 cents. For clients that are emigrating down under, they are now receiving an additional AUD $40,000 on a £400,000 transfer. But what next? The next 2 weeks could shape the UK economy for many years to come. UK Prime Minister Theresa May and the Attorney General Mr Cox are trying to get further concessions from the EU at present as it appears that further concessions are needed if MPs are to vote in favour of Theresa May’s Brexit deal on the 12th March. If it’s the case in the upcoming days the EU give further concession I expect the pound to continue to increase in value and GBP/AUD rates to breach 1.90 as a deal is likely to be stuck. However, if Mr Cox fails to achieve further concessions, its unlikely Theresa May’s deal will be passed, therefore MPs will vote on whether the UK will crash out of the EU on the 13th March. It doesn’t appear that there is the appetite in Parliament for a crash out Brexit, therefore I don’t expect this to pass with a majority. Nevertheless, if this was to materialise the gains that the pound has made against the Australian dollar will diminish and I expect we could breach the lower points we saw throughout last year 1.60. If my predictions come true, I expect MPs to be voting for the third day in a row as MPs will not vote in favour of Theresa May’s deal or a crash out, therefore they will be voting in favour to extend Article 50. If this happens this could cause the pound to rally further against the Aussie dollar as the chances of crashing out of the EU would have completely diminished. If you would like to discuss anything you have read in my GBP to AUD forecast, or need more information on the events affecting GBP/AUD exchange rates, please feel free to get in touch with me by sending me a message using the form below. I will respond personally. Sterling has been trading close to a 2 year high against the Euro in the last week as it appears as though the latest Brexit news is helping to support the value of the Pound against a number of different currencies. The likelihood is that we could see an extension to Article 50 and this has helped the Pound to increase as investors look to second guess what may happen in the next few weeks. German Chancellor Angela Merkel has suggested that she is willing to allow more time for the talks to progress and with just one week before the UK is set to hold its next ‘meaningful vote’ in the House of Commons we could be in for a very volatile period coming for Sterling exchange rates particularly against the Euro. How will the Brexit vote affect GBP/EUR rates? It has been made evident since early December that MPs are not happy with the current terms being offered by the Prime Minister, and with less than a month to go Theresa May is running out of time to get her proposed Brexit deal through. If we see another defeat next week then this moves us to either the option of a ‘no deal’ Brexit or an extension. I personally cannot see a ‘no deal’ happening so in my mind the likelihood will be for an extension and I think this could move the Pound in an upwards direction against the Euro. As we saw over two years ago when the original EU referendum took place, the reason why the Pound plummeted against the Euro was because of the risk to trade. An extension allows a period of relief and this is why I think the Pound could move up against the Euro in the next few weeks, providing some better opportunities for those looking to send money to Europe. Having worked in the foreign exchange industry since 2003 for one of the UK’s leading currency brokers I am confident that I can offer you bank beating exchange rates when transferring currency. If you would like a free quote, or just has some questions about GBP/EUR rates, you can contact me directly using the form below. I look forward to hearing from you. 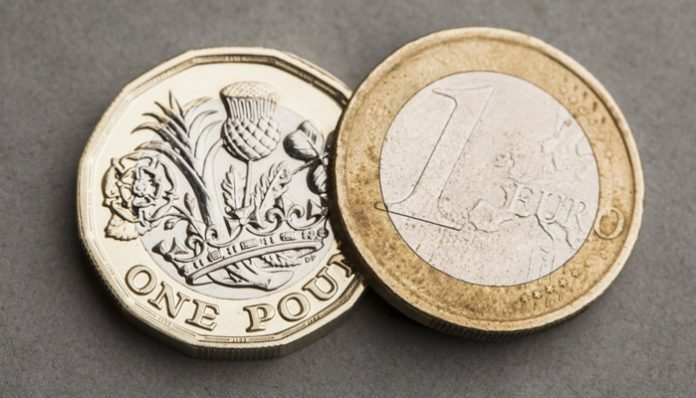 GBP to EUR rates: Pound remains stable in 1.16s against Euro – Will the Pound keep rising? The Pound has had one of the best weeks seen since the referendum, making gains against all major currencies as Sterling has come well and truly back into fashion, well at least for the time being! 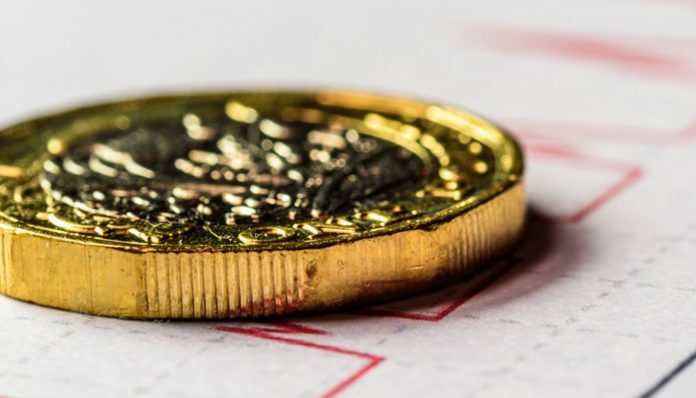 Investors and speculators have found an increased demand for Sterling and this has given the Pound a welcome boost for those looking to buy property overseas or for business owners that buy their stock in foreign currency. 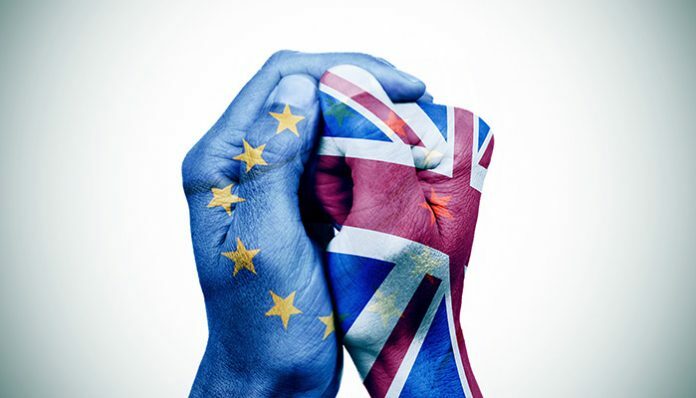 The main reason behind the rise appears to be positive vibes around the city that it is now highly unlikely that the UK will walk the plank with a ‘no deal’ Brexit and it appears that any of the other avenues seem to be leading to Sterling strength. We now have a key 2 weeks ahead for the UK and indeed for Sterling exchange rates. I would personally expect a lot of market volatility during this period, which way depends on how the situation for Theresa May pans out but if I had to predict myself I would not be surprised to see a little more Sterling strength. Having worked in the currency markets for over 11 years now though nothing surprises me and the markets often tend to ‘swim against the tide’ and do everything that they can to prove the majority wrong, so there could still be situations ahead that cause the Pound to come under pressure too. If you have a large transfer pending then it is important to consider all of the options available to you, there are various contract types that you can take advantage of to try and protect yourself from adverse market movements. My personal opinion on any situation like this is that it is key to hedge your risk and to protect yourself, even if you do not move to book out all of your currency the sensible approach is to ensure that you lock some of your requirement in while the Pound is at multi-month and in some cases multi-year highs. If you have the need to exchange currency in the near future and you would like to speak to me directly then you are welcome to get in touch by filling in the form below and I will be happy to get in touch with you personally. The Australian Dollar has lost ground of late due to coal trade between China and Australia. Last week we witnessed China put a ban on coal imports from Australia which caused a drop in investor confidence as coal is one of Australia’s primary exports along with iron ore. It has been reported that five harbours in China will no longer allow coal to be cleared. The Australian PM, Scott Morrison has attempted to quell the situation stating that the move from the Chinese does not point to a souring of their trade relationship. China has also denied deliberately targeting Australian coal imports stating that reports are false. It is still unclear whether Australian coal has been banned or whether it is taking a longer than usual to clear through Chinese customs. There is the theory that this is a political warning shot following Australia banning Chinese firm Huawei from it’s 5G network due to security concerns. Keep an eye on this situation if you have a trade involving the Aussie Dollar as this has the potential to cause volatility. It is also important to keep an eye on the US / China trade war. The Trump administration has recently hinted that he could potentially delay further tariffs on Chinese exports, which slightly eased investor concerns. China have stated in the press that talks are showing “great progress” backing up Donald Trump’s positive comments. 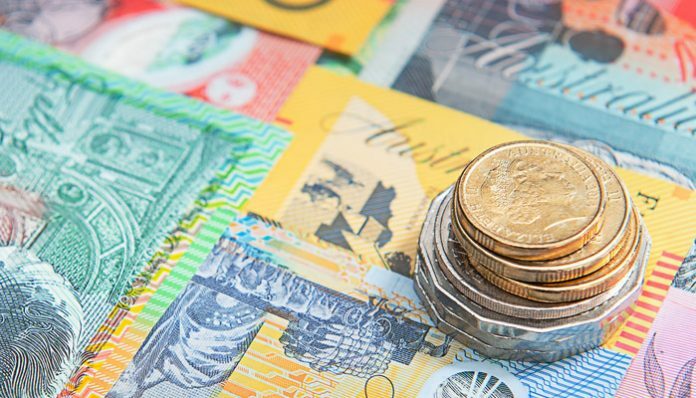 This is good news for the Australian Dollar as any slowdown in Chinese growth can hit the Australian economy due to Australia’s heavy reliance on China purchasing it’s exports. 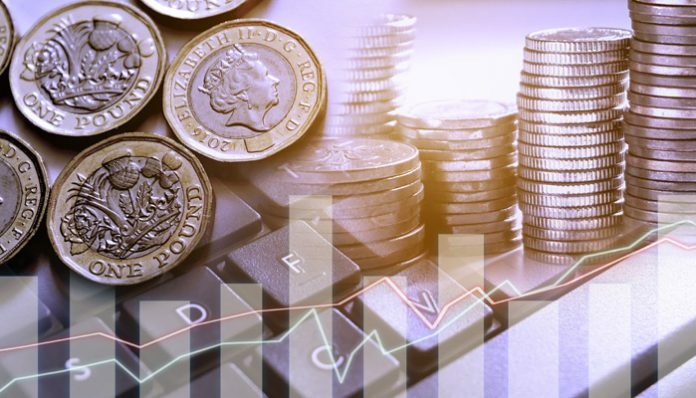 Sterling has made gains as positive news emerges on Brexit and the possibility of a no deal diminishing. I think Sterling will remain fragile however until we have firm news on the main point of contention, the Irish border. If you have to buy AUD in the short term you are currently in a strong position close to 1.84. If you would like my help I can be contacted directly by filling out the form below. I look forward to hearing from you. 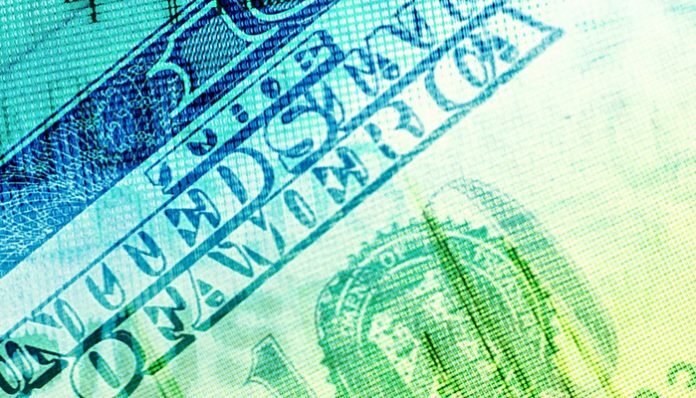 GBP/USD exchange rates have move backed above 1.30 this week, with the Pound now finding plenty of support around this key threshold for the pair. Whilst GBP has yet to make any aggressive move above this level, those clients holding the Pound will be relieved to see it moving back towards some of the highs of the past six months. This improvement has come despite the UK seemingly being no closer to agreeing a Brexit deal with the EU, ahead of the impending deadline next month. UK Prime Minister Theresa May is still trying to reopen negotiations with Brussels over the withdrawal agreement, with the Irish backstop being the most contentious issue it would seem. The EU currently remain unmoveable in their stance and have stated on multiple occasions that they will not reopen talks and that there is no room for further negotiation over the Irish border issue. Whether these are hardball negotiation tactics or not is clearly the key question that the UK negotiating team will be asking themselves but at this moment, the chances of a deal being made by the March 29th deadline see unlikely at best. This leads me to believe that investor confidence in the UK economy and ultimately the Pound cannot have been raised significantly, based on the continued uncertainty surrounding Brexit. This week’s move may be a market reaction to the recent comments made by the US Fed, indicating they were intended to reduce the pace of their interest rate hikes during the course of 2019. This has cooled investors risk appetite for the USD, which in turn has then seen its value weaken slightly. This has inadvertently boosted Sterling’s value sufficiently for it to move back above 1.30. Whether this move is sustainable will depend on external factors surrounding Brexit talks and any further softening of the UK monetary policy stance but with an extension to Article 50 now looking increasingly the most likely outcome, could we be in a further docile period as the markets to decipher their longer-term expectations for GBP/USD exchange rates. For more information on the factors affecting GBP/USD exchange rates to be aware of, feel free to complete the form below to get in touch. I’ll be happy to respond personally and discuss your questions. 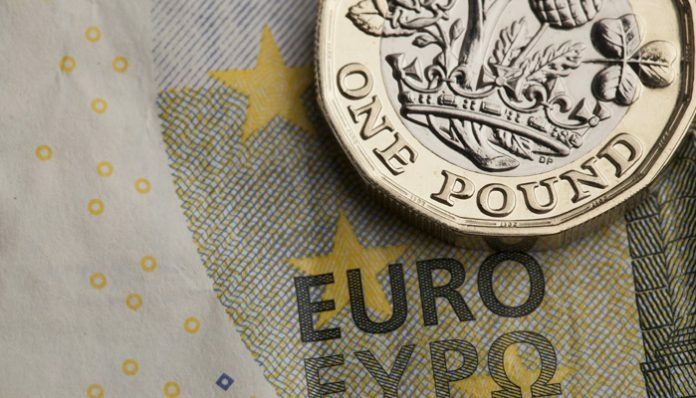 In today’s Pound to Euro forecast we look at the recent GBP to EUR strength amidst a week full of meetings between British and EU leaders fine tuning the terms of the Brexit withdrawal agreement. Rates for GBP to EUR have risen over 1.15 again in the hope that a new agreement on the legal terms of the Irish backstop can be reached. British politics is seeing a very interesting time at present and this week has seen a number of defections from both the Labour Party and Conservative Party to an independent group. This is important as it changes the balance in the House of Commons and could make it harder for the minority Government in power to push through key votes in Parliament. As such a general election does move one step closer if there remains a stalemate in the House of Commons and it is unable to push its business through. Rates for GBP to EUR are likely to see a volatile few weeks ahead at this important Brexit juncture and with all the political uncertainties that go with it. A meaningful vote on Brexit is expected to take place next Wednesday and should determine where GBP to EUR rates head next. This is the next milestone ahead of the 29th March withdrawal date. Pound to Euro forecast: Will Euro exchange rates weaken further? Euro exchange rates don’t have the brightest outlook with Italy in recession and a very gloomy outlook for the German auto sector. This morning sees the release of Purchasing Managers Index numbers for the manufacturing and services sector which should give some projection as to the future health of the Eurozone economy. EU inflation data tomorrow may also influence EUR to GBP rates and has been a major concern for the EU in recent years. The European Central Bank (ECB) have been battling with weak inflation for a sustained period and today’s ECB minutes from the January meeting may offer some clues as to the central bank’s thinking. 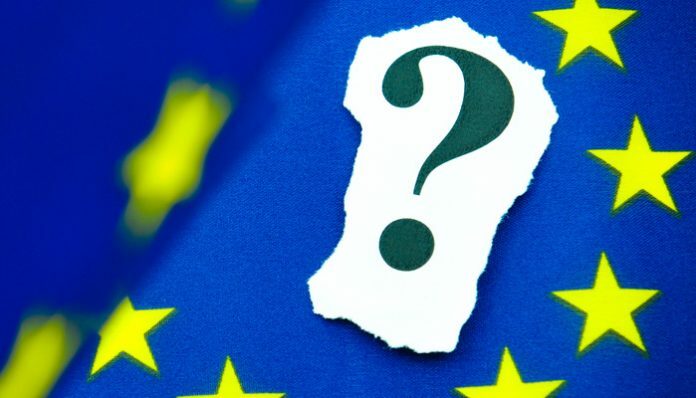 The markets had been expecting to see the first interest rate hike towards the end of 2019, but with an economic slowdown both in the EU and globally then this in my view is starting to look distinctly unlikely and could result in Euro weakness. If you have any questions about my Pound to Euro forecast please feel free to use the form below to contact me directly. I’ll be happy to respond personally and discuss your query. Yesterday afternoon GBP exchange rates were buoyed by the news that today there is a key meeting that could help push through a deal. We’re now just over 5 weeks from the due date for Brexit and without a deal in place at this stage, the markets are paying very close attention to negotiations. The UK’s Prime Minister, Theresa May has already arranged a deal with the EU although it’s so far failed to pass through the Houses of Parliament. Theresa May doesn’t seem confident going into the vote and after postponing the initial date of the vote she lost by a record margin. Her intention now is to make amendments to the deal despite the EU refusing so far, and then seeing her deal voted through successfully. This is of course influencing the Pound’s value and it’s likely that we could see the GBP/EUR rate fluctuate heavily once again before the next ‘meaningful vote’ which is scheduled for the 27th at the moment. This date could be amended like the previous one was, but those of our clients and readers planning on making a transfer involving the Pound and the Euro should be aware of this as there could be an impact on the rate both in the lead up and after the vote. Data is once again light today, so I expect the meeting and any updates afterwards to be the biggest influence of the GBP/EUR rate today. Tomorrow morning there could also be movement for EUR pairs as there will be inflation data released in the morning for both Germany, France and the EU as a whole. If you would like to be updated in the event of a major market movement for the pair do feel free to register your interest as the pair could be in for a busy few weeks of trading. If you would like to be kept up to date on the GBP/EUR rate, or would like to discuss anything you have read in this article, do feel free to get in touch using the form below.